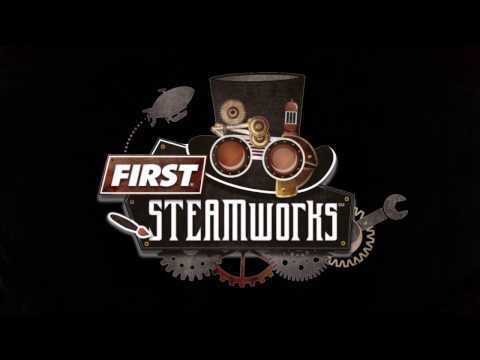 FIRST® STEAMWORKSSM the 2017 Robotics Competition game, invites two adventure clubs from an era in which technology relied on steam power to prepare their airships for the ultimate long distance race. Each three-team alliance scores points and prepares to take flight by building steam pressure, gathering materials to start the rotors, and boarding robots onto their airships. The adventurer club with the highest score at the end of the match is the best prepared for the race and wins. This fall Simbotics attended the STEMley Cup offseason robotics competition. The team placed second after qualification matches with a record of 5-1 and was selected first overall in alliance selection. Along with our partners, Team 2056 OP Robotics and Team 6135 Arctos, we won the event.